Combine first six ingredient in a lidded jar and let stand for an hour or more, shaking periodically. Combine dressing with shelled peas and thinly sliced kale and pea pods and let sit for at least ten minutes until kale begins to wilt. 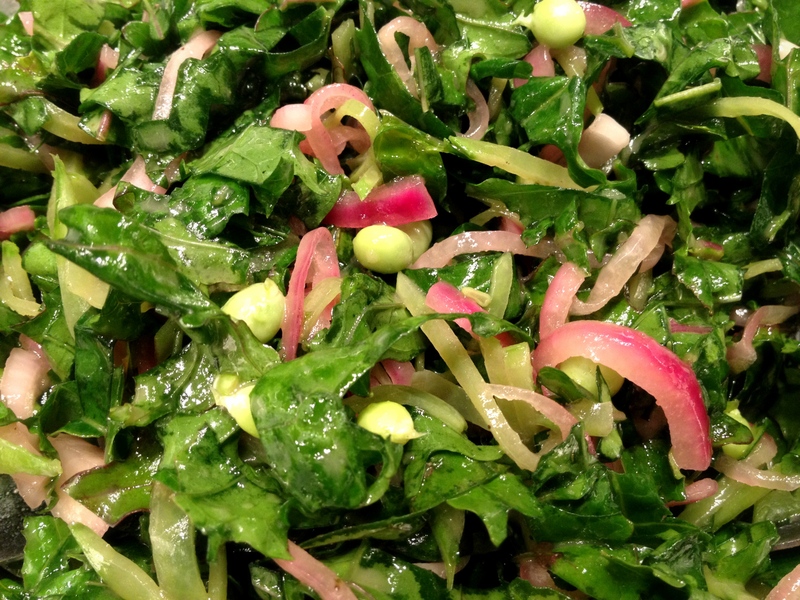 This entry was posted in salads, vegan, vegetarian and tagged kale, pickled, sugar snap peas by Jasmine Nielsen. Bookmark the permalink.